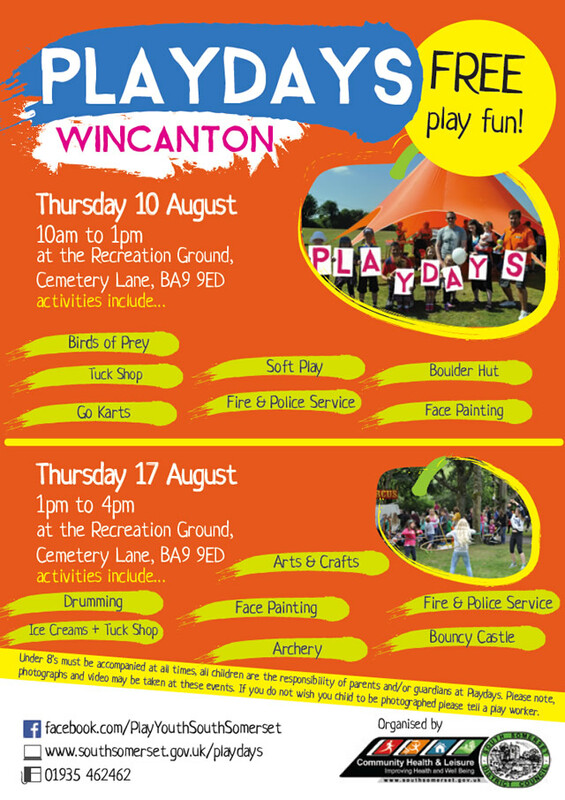 The annual FREE Playdays are back in Wincanton this month, at Cale Park (Cemetery Lane, BA9 9ED) this Thursday 10th August and next Thursday 17th August. Two fun-packed half-days of adventure and play for any young people who can get there. Thursday 10th will be a morning event, 10am till 1pm. There'll be birds of prey, soft play, a boulder hut, go-karts, face painting, a tuck shop and an opportunity to meet members of the fire and police services. Thursday 17th will be an afternoon event, 1pm till 4pm. 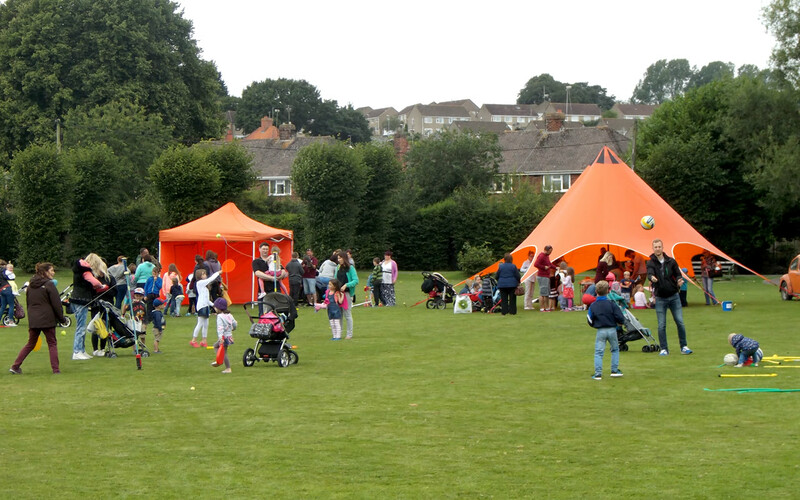 This time there'll be drumming, arts and crafts, archery and a bouncy castle in addition to face painting, tuck shop and another chance to meet the firemen and police. In the interests of health and Safety, and to ensure that everyone has a great time, please note that kids under 8 must be accompanied by, and be the responsibility of a parent or guardian. 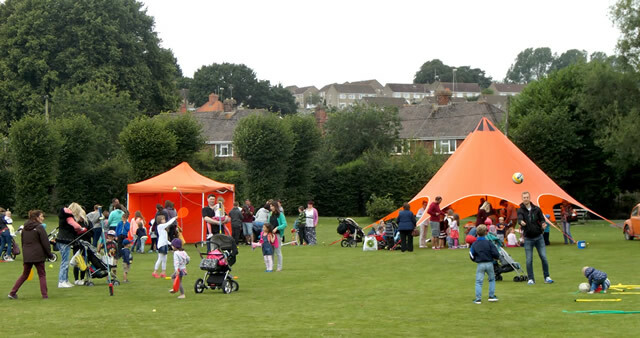 Playdays are FREE holiday events for young people, run throughout South Somerset by the Community Health & Leisure department of South Somerset District Council. Other Playdays are planned across the county. Since Playdays have started coming to Wincanton the Town Council has contributed towards the costs of running this important community event.